You must make reservations at least 5 minutes in advance of the time at Jolane's. Jolane's Restaurant & Bar in Glenview features exclusive contemporary cuisine with a European flair along with artesian libations. 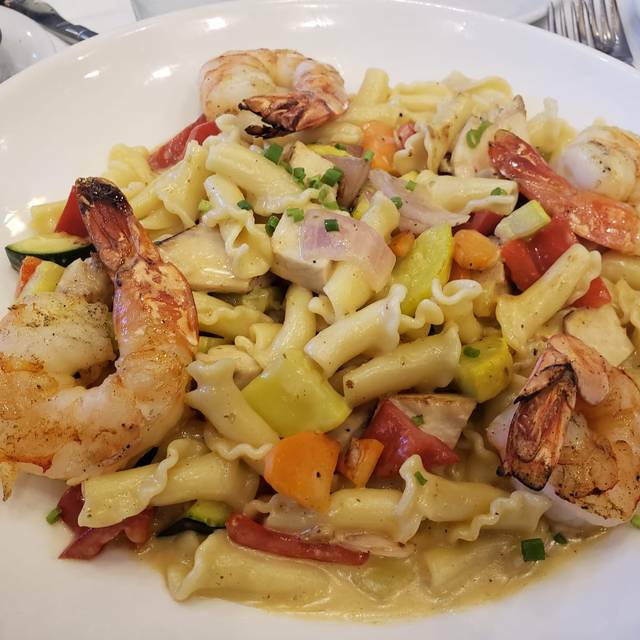 Patrons can enjoy one of the weekly dinner or lunch specials and a glass of our proudly hand selected wine in the intimate dining room, or elegant, sun-soaked conservatory. The unique menu is derived from high quality ingredients and is complemented by the dedicated service of each employee. Whether it's lunch or dinner, with close friends or a party; Jolane's is the perfect balance of comfort and sophistication. Visit Thursday for 1/2 price wines by the glass! We also have free Wi-Fi and a kids menu for our younger guests. Located in the Design Center at Abt. Went there to celebrate my sister’s birthday on her actual day. Made Rez for two, and at the restaurant requested that it be for three. Host said they’d add a chair at the table first for two. I said that would be too cramped.He said there weren’t any other tables, as everything else was reserved. I said we had reservations and he said but it as for two. We went around and around. Finally,he asked if we could wait 10-15 minutes and I said sure.he found us a table and the rest of the birthday lunch was great. Great service, limited choices on a Sunday brunch/lunch time. Nice birthday sundae. My sister was happy on a snowy birthday. The waitperson made the meal very pleasant. Kettle One was watered down, never use a wooden pick for olives. The $10 chardonnay was terrible. The food was mediocre at best. This is the first negative review for a Restaurant I have ever written! I've had lunch at Jolane's many times but never dinner--until last night. The food was great. Thanks for a lovely night. Always a pleasure to go to Jolanes! Their fish tacos are amazing! The popovers are amazing!! Will definitely be back for more! What a great place to have lunch--been here many times and the food is always good. Right next to ABT (in fact I think part of the ABT "empire") so it's nice to go to Jolane's before you go over to ABT (and get great service there also!) or just go to Jolane's for a great meal (done that many times without going to ABT). We always got to Jolane's when shopping at ABT. The Octopus salad was a home run!! The coconut macaroon was great. Thanks to Luis for taking great care of us. Food was mediocre but not over priced. Husbands steak was DRY and over cooked. I ordered vegetable risotto, was just brown rice with vegetables. The menu was creative and the food delicious. Loved the Popovers! Also, we were the last to leave and the staff was was so nice about it. Ruth & I go to Jolane's at least monthly. Very reliable food and often interesting wine choices. We had another couple with us and were given time to enjoy the meal and conversation. Every moment of our lunch was fantastic. the drinks were great, 1/2 price wine Thursday and all luncheon entrees were excellent! Staff attentive enough. Every dish that went to another table looked amazing too! My husband and I had a wonderful dinner at Jolane’s. The food was especially delicious (we had the salmon and a halibut special). Service was excellent and the wine was perfect. It was a lovely night out. 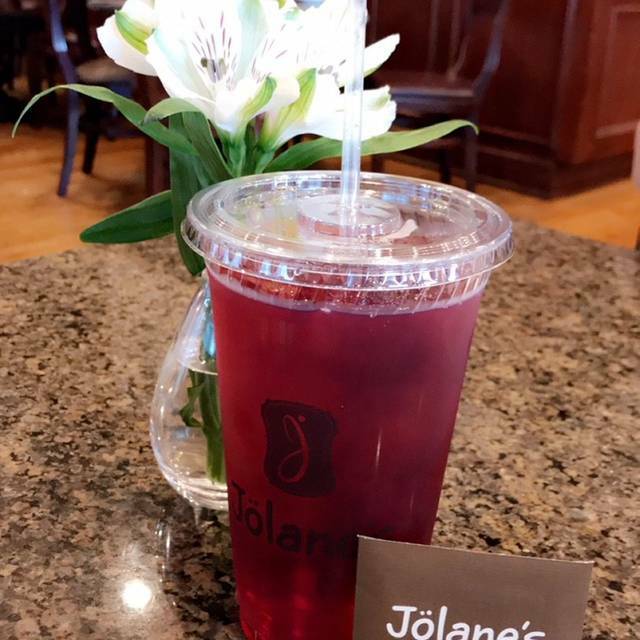 We always recommend Jolane’s as one of our favorite restaurants. Brunch with friends. Great food. Wonderful atmosphere. My scallops were excellent. One in our party wasn't as keen on the pork schnitzel, but another person liked it. Popovers are a nice treat. Our dessert was really good. Nice atmosphere. Not so loud so it's easy to have a conversation. This was the first time we had dinner here, and we enjoyed our visit very much. We thought the food was very good. We had the cedar-planked salmon and shrimp with a spicy rice dish. I thought the salmon was cooked perfectly, and the asparagus and carrots were still crisp and perfect to eat. Our dinners came with a light salad with just the right amount of additions on it. Our waiter was excellent; always there when we needed him but gave us plenty of space when we asked to wait. We shared the opera torte which was also excellent. The prices were right in line with any comparable restaurant. We all agreed we will come here again. Went based on a review by a local newspaper. He said it was eastern European food and the beef brisket was just like homemade. 1/3 of the briscuit was very tender and delicious. The other 2'3 was dry and tough. My wife had a beef tenderloin. Nothing special about it as far as tenderness was concerned or flavor. In short, over priced. Will not go back. A great place for excellent food with a very nice atmosphere. Met my girlfriend for dinner. I had the fillet with parm crust and it was cooked to perfection. The popovers are out of this world with the sweet butter. We didn’t have room for dessert but they looked delicious. Our server was friendly and took good care of us. As usual Jolane's delivery quality and service! It's becoming quite the popular spot and because of the Private Sale it was really packed! 2 showers were also going on so HIGHLY recommend reservations so you won't be disappointed. Service was great and attentive, making sure drinks and meals were fab. Hats off the to the kitchen staff too, for keeping up with the orders. I'm sure to be back! We always enjoy our dinner at Jolane’s...food always good. Lily our waitress was great!! Food was very good. Seating by door was very cold and uncomfortable. Six of us gathered to celebrate a birthday and we all enjoyed our meals. We had chopped salads, Brie & pear sandwich, goulash, and delicious ice cream dessert. Great service. I had the goulash. Delicious. The salads looked fabulous. Our waiter was charming and helpful. His initials were EM. We had a great time. We love this place. Friends gather for lunch, little wine and great conversation. We probably overstay at our table but the staff are most understanding. We recommend this place to all. Our food was excellent. I like the variety their menu offers especially the fish selections. We passed on dessert but the menu was very tempting. Nothing special that would compel me to return. We dined there several times. Great food--They always honor reservations and they didn't rush us. A great experience. Our third time there. We'll keep coming back! A gem...and service staff are incredible! Food delicious! I’ve never had a bad meal at Jolane’s. Great food and service. Wow first time here but won’t be the last. Impeccable service, really good food and prices that affordable. It's a really nice venue for lunch or brunch. Staff are always pleasant and food is great! i had the short rib and hash and it was delicious and just the perfect amount of savory. My friend had the breakfast burger which looked amazing. The garlic fries were amazing. The price is a bit higher but it was good. The server was great!! White table cloth service and food at moderate prices. Popovers are to die for. Generous portions. Great menu. Food fantastic. Look forward to our next visit. We had a very pleasurable experience at the restaurant. Food was very good matched by good service. Excellent food and great service - thanks!